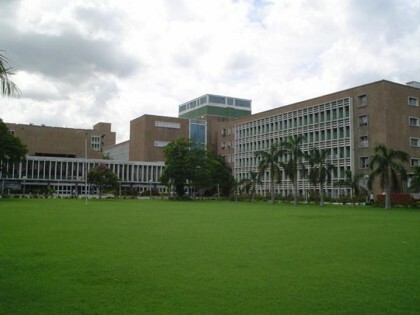 NEW DELHI: Chaos seems to have ensued at the country’s premier medical institution, AIIMS following the unfortunate demise of Rajbir Kaur, 28, a nursing officer with AIIMS’ medicine department. The nurse had been admitted to AIIMS for a normal delivery on January 16. Hours before the delivery, doctors found that the heart beat of the fetus was slow, thus immediately taking the patient for an emergency cesarean. Family members of the nurse alleged that the anesthetist arrived late, delaying the surgery, reports TOI. The nurse suffered a cardiac arrest during the surgery, leading to more complications. Doctors were able to revive her and she was placed on ventillator thereafter. It is reported that the baby was stillborn. Further, three weeks after battling for her life, the nurse finally succumbed on Saturday. Following the death of their colleague, Over 500 nurses of the All India Institute of Medical Sciences (AIIMS) here went on strike on Sunday, alleging medical negligence on the part of the doctors, and demanding immediate action from the authorities. “The doctors did not monitor Kaur’s condition properly which led to delayed diagnosis of slow heartbeat and necessitated emergency caesarean section,” said a nursing staffer protesting outside the director’s office told TOI. She claimed that many nurses who were on leave had come from home to join the protests. “We lost one of our colleagues due to the negligence of the doctors. We want those involved to be acted upon.Such negligence cannot and should not be ignored,” another AIIMS staff told the daily. “We have formed a fact-finding committee headed by medical superintendent Dr D K Sharma to look into the matter. The preliminary report will be submitted within 48 hours following which action will be taken if negligence is proved,” AIIMS spokesperson Dr Amit Gupta informed TOI. The decision was denounced by the Resident Doctors Association, which demanded that it be rolled back or they would go on a strike. In a letter to the AIIMS Director, RDA officials said the five doctors, who were on the duty in the operation theatre, had decided to perform a cesarean surgery on the nurse, Rajbir Kaur, as there were some complications. The nurse suffered a cardiac arrest during the surgery, leading to more complications. But without taking this into consideration, the administration put them under suspension, a senior RDA official said. “The RDA strongly condemns this action and urges the administration to withdraw the suspension order immediately, failing which the resident doctors will be forced to withdraw all patient care with immediate effect,” the letter said. A complete enquiry is to be held before taking action. My heart felt condolences to the demised nurse. A detailed report of the antenatal examinations and the tests during the period has to be sought. It\’s really shameful that the risk was not detected and we lost a woman for a normal physiological process, even at a premier institute. Doctors also have to cooperate to find the missing link of pathology. My heartfelt condolences to the departed soul. demise of a young nurse. Before suspending Drs enquiry should have been held. Such a knee jerk response is very unfortunate and immature.